Veteran editor Mitzi Miller has been handed the reins of Ebony magazine and will take on her new position as editor-in-chief of the publication effective immediately, according to a press release. Desiree Rogers, CEO of the Johnson Publishing Co., which owns Ebony, made the announcement on Tuesday. "Mitzi is a gifted editor with tremendous energy and passion, and her strong editorial background will catapult the Ebony brand to greater heights," Rogers said in the release. "We are thrilled to have Mitzi in our JPC family and are excited to see the new direction she will bring to the magazine." Miller has been doing editorial work since 2001 and most recently held the editor-in-chief position at Jet magazine, overseeing the magazine's makeover as it rebranded itself, the release notes. She was also a 2013 The Root 100 honoree. "I am extremely humbled to be trusted with the responsibility of leading the No. 1 African-American publication in the country," Miller said in the release, tipping her hat to predecessor Amy DuBois Barnett, who was Ebony's editor-in-chief for approximately four years. 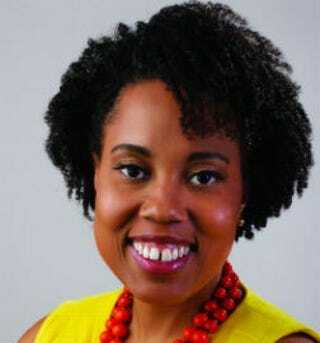 "Amy Barnett is an exceptional editor, and I am honored to succeed her as editor-in-chief at Ebony. I am excited about all the possibilities as I assume my new role."